Is it safe to install a light fixture in my bathroom? All of our bathroom lights are rated IP44 or above which means they're safe to use in any almost bathroom location. The remainder of our "standard" lights that are rated IP20 can still be installed in bathrooms but only in zone 3 (areas outside of zone 1 and 2). 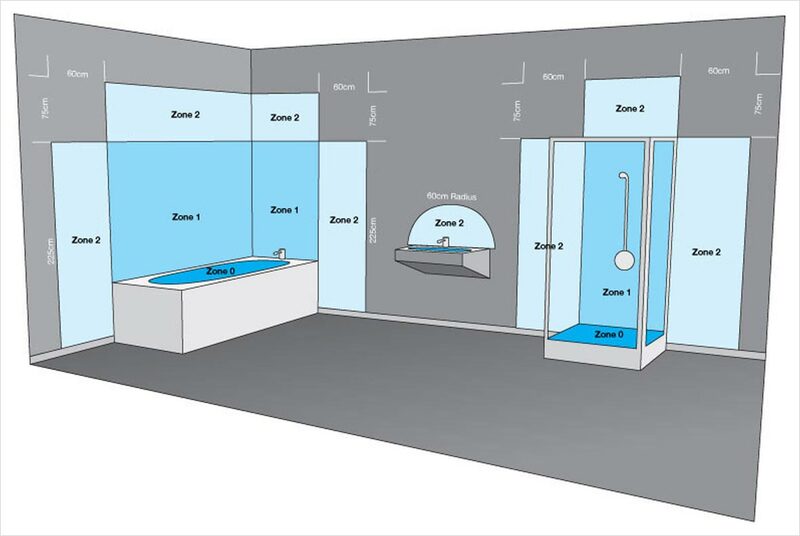 The diagram below illustrates that zone 3 is, in most cases, 60cm away from any shower, bath or sink. What does IP rating mean? I have a technical lighting question. Who should I contact? Can I install your light fixtures outdoor? Can I install your light fixtures in my bathroom?